October Advanced Courses: We’re Back in Las Vegas — Only $179 Per Night! Take advantage of our incredible $179 per night room rate at Caesars Palace. Finally, an October Advanced Courses Networking Reception will take place on October 7, sponsored by Patent Workbench™ from Landon IP. You can find out more details about this program at our October Advanced Courses program webpage. And don’t forget — PRG’s Advanced Courses are an amazing value — our tuition rates have remained unchanged since 2005! If you’re a Loyalty Program member, you’re actually paying less today. Last Chance — Sign Up for PRG’s September Bar Review Course! [tweetmeme source=”Intellogist” only_single=false]PRG’s next 2011 Patent Bar Review course is being offered from September 12-16, 2011 in Newport Beach, CA (Orange County). 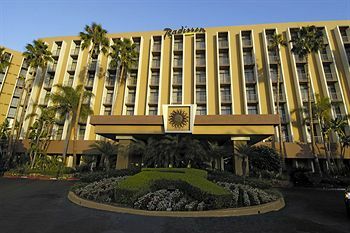 Radisson Hotel Newport Beach: the location of the September Patent Bar Review course for PRG. It’s not too late to register, but it will be soon, so sign up today! PRG is 100% focused on patent law and our industry-leading Patent Bar Review Course is 100% focused on helping you to pass the latest version of the exam. After the course, you’ll benefit from ExamWareTM, our highly-acclaimed patent exam preparation software (now easily accessible online! ), and other study tools designed to position you for a successful exam experience. ExamWareTM and all of our classroom materials and other resources have been updated for the new exam. The results speak for themselves. 100% of our 2010 attendees gave our course an overall rating of Excellent or Good, and our students have a pass rate that is 20 percentage points higher than the historical USPTO average.